On Monday June 25th 2012, one of TechEase’s largest competitors – Make It Work – announced that they had halted operations and were in the process of permanently closing. Make It Work was in business for approximately 11 years and had 34 employees. We were shocked and saddened to hear this news. Although we were business competitors, we hate to see something like this happen to the people involved. Our hearts go out to the staff and their families in this terribly difficult time. We feel it’s important to focus on what we can do to help in this situation. We encourage staff members to contact us regarding employment opportunities. In this new local landscape, your service and expertise have never been more needed. Unfortunately, some clients purchased pre-paid hours from Make It Work and have remaining balances that cannot be redeemed. We will be honoring as many of Make It Work’s pre-paid contracts as we can. Clients in the Santa Barbara area should contact us for details. Out of this sad news we are working to find a positive outcome for all involved. We hope to fill a gap in service for our local community members while Make It Work continues to move through this tough transition. Make It Work leaves a legacy of community involvement, and their departure is a loss for our neighborhoods. In the coming days and weeks, we are confident that their employees will land on their feet, and we wish them the best of luck. We feel it’s important to focus on what we can do to help in this situation. We encourage staff members to contact us regarding employment opportunities. In this new local landscaOn Monday June 25th 2012, one of TechEase’s largest competitors – Make It Work – announced that they had halted operations and were in the process of permanently closing. Make It Work was in business for approximately 11 years and had 34 employees. We feel it’s important to focus on what we can do to help in this situation. We encourage staff members to contact us regarding employment opportunities. In this new local landscape, your service and expertise have never been more needed. We will also be honoring as many of Make It Work’s pre-paid contracts as we can. Clients in the Santa Barbara area should contact us for details. pe, your service and expertise have never been more needed. We will also be honoring as many of Make It Work’s pre-paid contracts as we can. 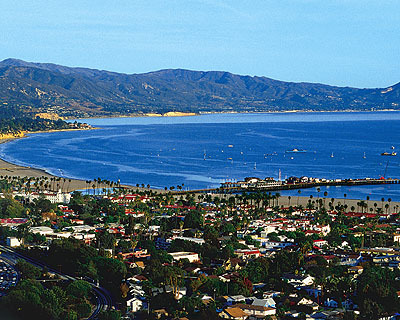 Clients in the Santa Barbara area should contact us for details.